About this time of year, Sound View starts receiving numerous requests for financial aid. We call these awards “camperships” - mainly because the word “scholarship” implies “school” - which we work very hard to be most unlike. Applying for a campership is easy. It is an online form. We raise money for camperships with our annual mud run. 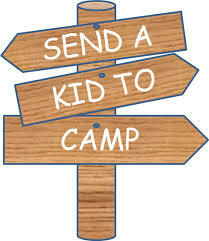 We encourage direct giving towards the campership fund. We help churches and youth organizations set up “sponsorship codes” to help fund their area families. We insist that families have a “buy in” - at the minimum of 25% - to the experience. We also have opportunities for teens to partially earn their way to camp by helping out with the mud run and spring programs. We really want to serve each and every family regardless of their ability to pay. Please, keep referring potential campers to us, but also, please consider helping fund those who could truly benefit from the experience. Let’s fill up camp this summer!